Hey everyone… how ever many of you that may be. Do people still come here? Anyways. I just wanted to let you know that after a long, hard talk, the group has decided to cancel making the movie. This probably isn’t surprising considering we haven’t done anything with all our footage since 2009. We have busy lives now and editing this stuff together takes A LOT of work. So, because of that, I’ve decided to cut together a little “sizzle reel” as they call in the film biz. Check it out, and please don’t hate us. This entry was posted on Friday, April 1st, 2011 at 10:39 pm by Peter Freeman and is filed under Movie, News, Season 2. You can follow any responses to this entry through the RSS 2.0 feed. You can leave a response, or trackback from your own site. Charlie Bare (Doug Gresham in the show/movie) is the man responsible for the Season 1 soundtrack, and he’s gonna be a huge part of the movie. He recently recorded a new song for the movie that he wants to share with everyone; give you all a little taste of what’s coming. And it’s breathtaking. But, you can listen for yourself. MICAH: What was the writing/recording process for season one and how is it changing for the movie? MICAH: What is your favorite song from season one? CHARLIE: My favorite song from season one… hmm. That’s hard. I’d say “Their Blood is Upon Them” and “Eternal” would have to be my favorites. Gabby did a great job. MICAH: Which new song are you most excited about? CHARLIE: I’m really excited about a song coming out for the movie, in which I’m fusing all of the character themes, and the infamous “Gates of Absolution” together, to make a long, 8-10 minute track. It should be something. MICAH: You play a lot of instruments on the soundtrack. Which is your favorite to play and why? CHARLIE: I’ve been playing guitar forever, and it’s definitely been my most loyal instrument, but as of late, I’ve really taken to the piano. 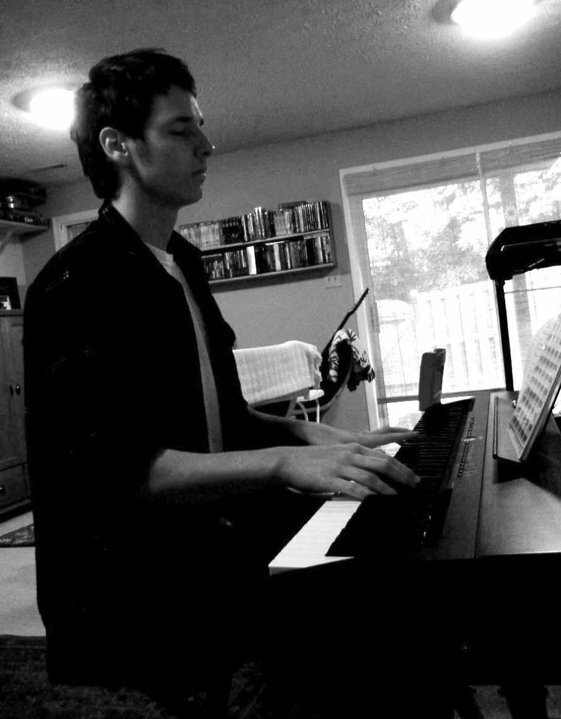 I’d say 85% of the songs for the new score were composed on piano. MICAH: How does your creative process work? CHARLIE: I’m not sure this is something I can explain verbally in detail. For me, it’s all about letting what’s real come out. What’s real, and inside us, is real for someone else and everyone around us. MICAH: Who is your biggest inspiration in music? CHARLIE: My biggest inspiration in music. WOW! 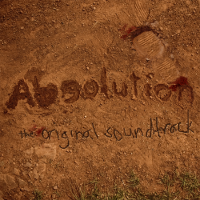 As far as Absolution goes, my master in mood music would be Akira Yamaoka, who is the composer of the Silent Hill score. As far as my solo career goes, I’d have to say Cat Stevens. MICAH: You also acted in the movie. Do you prefer to be in front of the camera or behind the scenes, doing stuff like music? CHARLIE: I really like being in front of the camera. I fancy myself a decent actor, (for never having taken any classes or anything), but my real love is in the music I make. When I sit down and watch “Absolution”, I’m less concerned with how I look, and more with how the song impacts the mood of the specific scene. MICAH: What are your plans after Absolution? CHARLIE: My plans after Absolution are to compose and perform music for anyone willing to create a truly inspirational movie or piece of art. Look for more music and goodies as we move along in editing, and let us know if you like what you see/here by commenting. Your support is what keeps us going. This entry was posted on Monday, August 30th, 2010 at 1:20 pm by micah and is filed under Movie, Music, News. You can follow any responses to this entry through the RSS 2.0 feed. You can leave a response, or trackback from your own site.